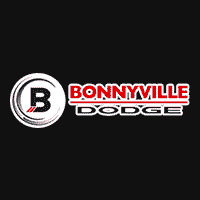 Bonnyville Dodge is a top Dodge dealership near Lloydminster, St. Paul, Cold Lake and Edmonton. We have been part of the Bonnyville community for long enough to know that we wouldn’t be where we are today without the hard work and dedication of our staff, and the continued trust and support of our great customers. Our guiding philosophy is to put the customer first and we will do everything in our power to help you find the perfect vehicle. We will never push you into a sale that you don’t feel completely comfortable with. Visit us anytime at our Bonnyville location and learn why people consider us the premier Dodge dealership near Vegreville! If you have any questions about our inventory, including our stock of Dodge Ram trucks for sale near Lac La Biche, you can contact us online and our friendly staff will be happy to get back to you. Visit our new vehicle department to learn about our great vehicle selection, and explore our flexible financing options to help make your next vehicle purchase easier. You can also visit our used vehicle department to find out about our selection of used vehicles by Dodge, Chrysler, Jeep, Ram, and by all other major manufacturers. Our exceptional selection, prices, and customer service have made us the Dodge dealership near Athabasca to watch for drivers in Lloydminster, St. Paul, Cold Lake, Vegreville, Bonnyville, and Edmonton. When our customers leave our dealership with a new vehicle, it is only the beginning of an ongoing relationship. We will continue to provide the highest level of vehicle service and repair in the , St. Paul, Cold Lake, Bonnyville and Edmonton areas so that your new car will last you for many reliable years on the road.